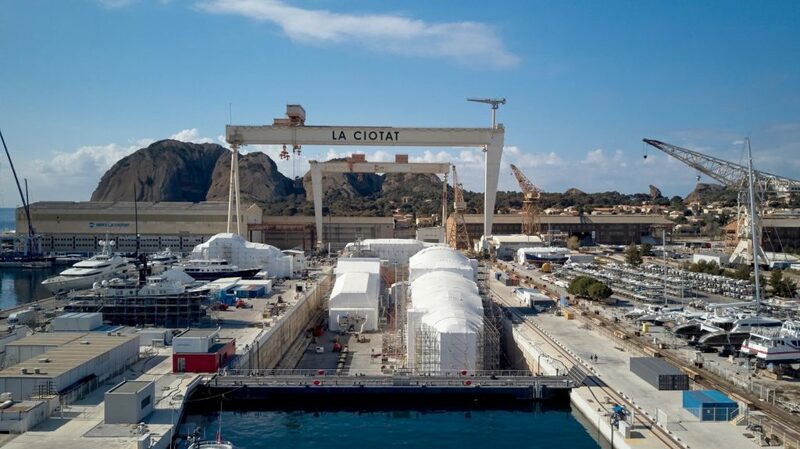 Refit and repair shipyard MB92 La Ciotat, formerly known as Compositeworks, in the South of France signed a contract March 27 with La Ciotat Shipyards to extend its exclusive usage of the yard’s 656-foot (200m) dry dock until August 2022. 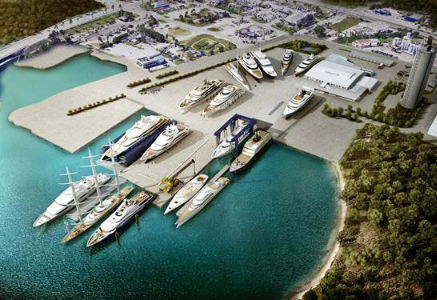 In September, MB92 La Ciotat was awarded exclusive use of more than 23,000 square meters on a new megayacht platform to be serviced by a 4,000-metric ton shiplift, representing an investment of €45 million from MB92. 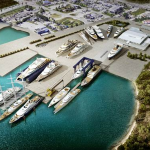 Under the agreement, La Ciotat Shipyards, which will carry out the works, will afterward retain control of the shiplift operation, the quays and one megayacht slot on the platform. 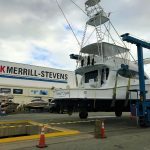 The shiplift is expected to start operating in the fourth quarter of 2021. 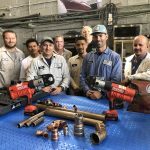 “This is clearly a very good win-win deal, in line with the partnership spirit promoted by LCS toward the re-industrialization of our yard and the creation of a skilled workforce,” Jean-Yves Saussol, director of La Ciotat Shipyards, stated in a news release. 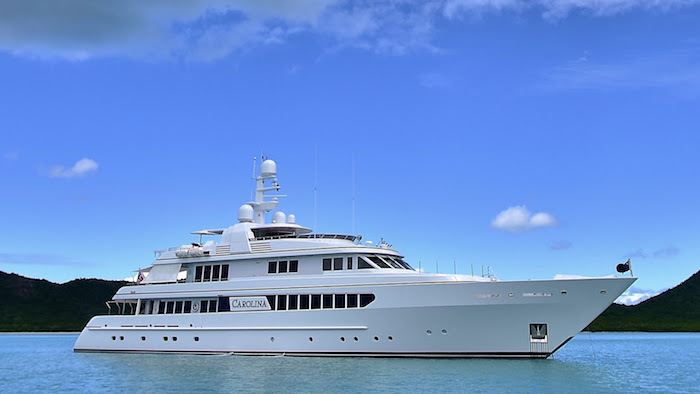 A member of the Dogus Group, the MB92 Group comprises the refit and repair shipyards MB92 Barcelona and MB92 La Ciotat.